Martin Feinstein Interview with Bruce Duffie . . . . . This interview was held in June of 1990, and published in The Opera Journal in March of 1991. This April, Martin Feinstein (pronounced fine-steen) celebrates his 70th birthday. Having spent a quarter-century with the Hurok Agency, including 20 years as Vice President, Feinstein became Executive Director of the Kennedy Center for the Performing Arts in 1972. He held that position until 1980 when he founded the Washington Opera and became its General Director. The success of both the company and its founder/director means that great performances abound in our nation’s capitol. Rising expectations accompany the mounting critical acclaim and the scarcity of available tickets. It is ever more important than the elected and appointed leaders of government be constantly bombarded by a healthy and expanding world-class musical environment. Martin Feinstein has been a major force in that cultural prosperity, and continues to nurture the bond between the society of movers and shakers and the community of musicians and performers. Earlier this season, Lyric Opera of Chicago presented Six Characters in Search of an Author by Hugo Weisgall, the Grand Old Man of American Opera, who is working closely with the Lyric Opera Center for American Artists. The production was extremely successful, and guests from across the country attended the opening night. Among the dignitaries was Martin Feinstein, and while he was in Chicago, we had the opportunity to chat about many things. Here is a portion of that conversation…..
Bruce Duffie: As you approach your 70th birthday, are there any surprises or regrets? Martin Feinstein: Nope. It’s been a very good life doing what I wanted to do. BD: How did you get started in music? MF: When I was 15, I realized that I had no talent for the violin, but my passion was music and if I worked very hard, I might wind up in the last row of a fiddle section in a provincial orchestra. I decided that wasn’t good enough, but I had to make my life in music, so I majored in music and got a master’s, with a secondary in journalism. I was City College Correspondent during my senior year for the New York Herald Tribune. BD: Was that when Virgil Thomson was there? MF: Yes, he was there at that time. Then in the army, I managed to land on the staff of Stars and Stripes in the Pacific, and moonlighted for United Press. When I got out I felt I had to get a job in music. So after many months of pounding the pavement, I landed with the Hurok office. BD: What exactly did you do with Hurok? MF: I started as Assistant Publicity Director, and wound up as Vice President of the Hurok Agency, doing not only his press and press for most of the major artists and all the attractions that came, but also I was very much involved with management — particularly with the big attractions such as ballet and theater, and so on. BD: Is opera an “attraction”? MF: It certainly is. When I was 12 years old, I started composing small pieces for the violin and sat in the first violin section of the orchestra of the Brooklyn Music School settlement! The chap who shared the desk with me told me that if I was to be a composer, I should get out to concerts and operas. So I was listening to a broadcast from Lewison Stadium of the Philharmonic, and the announcer, Milton Cross, told about opera at the New York Hippodrome. It was Salmaggi’s company called the Chicago Opera. Prices were 25 cents to $1. So, after saving money from my allowance for many weeks, I had 50 cents and announced to my mother that I was going to the opera. I spent 35 cents for a ticket in the last balcony, and 10 cents for subway fare, and a nickel for a chocolate bar at intermission! I knew nothing about opera except that it was something sung in a foreign language. BD: When you went, did you know which work was being given, or were you just going to the opera that day no matter was it was? MF: I was just going to the opera. It happened to be Lucia, and fortunately there was a synopsis in the program. The curtain went up, the chorus was in kilts, and I quickly realized that opera was sung drama. I went wild. On the subway going home, all the tunes were running around in my head, and when I got home, all the tunes were running around in my head. I drove my mother crazy by singing the mad scene and the sextet. Determined that I must go, I kept saving my money, and two weeks later I went to Cavalleria Rusticana and Pagliacci which I also loved. Then came Hansel and Gretel, which I didn’t like and still dislike, and, curiously, my children also dislike that work. BD: This is how you got started. Is there a similar way for kids today to go to the opera and see it and become enthralled? MF: I would hope so. They’ve got to save their money for a ticket, and even though they’re more expensive, their allowances are much greater these days. There are some less-expensive companies around; I’ve seen some of their productions and they are first-rate. It’s a great way to get acquainted. At the beginning of this past season, the Washington Post had heard that my first opera was Lucia, and we were opening with that same work, so they asked me to write a piece. So I told this same story, and right after it appeared in print, people began coming up to me to relate their own first-opera-experiences. They tell me what date it was, what the cast was, and so on. I ask them if they remember their first ballet, and some do; I ask about their first play and practically no one does. Opera is such an overwhelming experience, so much bigger than life and so much more exciting. The music adds a dimension to the spoken drama which is just incredible. I always recall the scene in Nozze di Figaro where Susanna learns that Figaro is OK and it’s his mother he’s been hugging. She walks offstage saying, in effect, “I’m so happy.” Underneath that, Mozart puts three simple chords, and you melt. You can say, “I love you,” but there are so many wonderful ways of expressing it musically, and it’s absolutely gorgeous. That’s what opera is. BD: It’s to touch your heart. MF: Without question. It moves you. No matter how many times I’ve seen it, the last scene of La Bohème moves me to tears even if it’s only a halfway decent production. BD: So that’s Puccini and Illica, rather than the performers onstage. BD: Now you’re speaking, obviously, of the masterworks of the literature. Are we getting enough new masterworks to sustain opera into the 21st century? MF: There are a lot of different operas that are being added to the repertoire which are not necessarily premieres. Many of these are not only interesting, but exciting and moving. For example, three seasons ago we did (in Washington) The Tsar’s Bride by Rimsky-Korsakoff. No one knew that opera – it had been done last in concert 50 years previously. I had seen a film of it and was very moved, so when I talked to Rostropovich about conducting for me, he insisted on not doing a familiar work. So I suggested this Tsar’s Bride, and his face lit up. He said, “Done.” We agreed and did the production. Normally we play to about 95% of capacity, but we budgeted that we’d get about 86% for this rarity. After the first night and the fabulous reviews in the New York Times and Los Angeles Times, the piece caught on so quickly that we played to 95% for six performances. Last season we did the Aspern Papers of Dominick Argento, which was sold out on subscription. At the end of the season we did an audience survey and it was one of the highlights without question. I hope to do it again in a few years. It’s a great work of theater and music. So there are things coming in. When you look at the enormous number of works that were done in the nineteenth century, only 40 or 50 have survived. When you look at the entire 20th century, remember that several Puccini operas and all the Strauss works, plus Britten and Menotti came from these years. We forget how works have survived. When I went to the opera in 1935, I saw my first Tosca and it was 35 years old. Some Menotti works have survived that long already. I will agree that in the last 30, 40, 50 years, atonality is harder to assimilate, and some composers have the attitude that they write for themselves rather than the public. The audience for contemporary opera has been turned away to a certain degree, but there is now a neo-romantic movement, and in the last decade of this century we’ll find more works that survive. Argento is a fine example – his Casanova’s Homecoming is a wonderful piece. We did his Postcard from Morocco which was very successful. BD: Please continue gazing ahead and tell me where opera is going as we head into the next century. MF: I am not a seer. Some of the things I’ve seen in the last 50 years surprise me. There’s talk of making opera more socially conscious, and I’m not sure if the public wants to see operas that discuss our drug problems or our race problems. The music has to be pretty terrific to overcome grim librettos. I cannot tell you where opera is going. The one thing that I see is the pendulum swinging back to a certain degree. Composers realize that the voice must express something melodic, and I think that’s a positive trend. MF: Yes, because I think opera is such a fantastic medium. Even if we survive on the 50 masterpieces of the 19th century, there will eventually be 50 from the 20th century; and the audience is growing. Look at all the opera companies that exist now that weren’t there 20 or 30 years ago. It’s a hard row to hoe without government subsidy of any meaningful proportion, but despite all the handicaps of raising money, the audience is still growing. In Washington, we play to 101% of capacity, so we’re only 1% behind Ardis Krainik here in Chicago! In the next three years, we’re planning to increase the number of performances we give. We now have 55 performances of 7 operas, and by 1992-93, we hope to have 65 performances of those 7 operas, and the following year we plan to have an 8th opera. With each opera you lose more money, but I think it will succeed. We’re one of many companies that are successful. BD: You have to sell these works and stay within your budget in order to keep alive. MF: Any opera director in the United States always has to think of money... Always. Can we afford to do this production? Can we cast it the way we want to and afford to pay the fees? Is there a production that we would like to use, or do we want to create a new one? If so, where will we get the funding for it? And since you’re planning three, four, five years in advance, it’s impossible to tell. People just don’t put up money that far ahead. There are all these factors that go into it, and you’re always conscious of it. You have to plan so that if you don’t get the money you want for a production, there is a fall-back production you can go to; or you can re-cast it, or use the same cast for another opera. You always have to be prepared for any situation. BD: Do you ever hearken back to the old days when an opera house had a company of singers and the management could just cast whatever operas they wanted to do from that pool of talent? MF: We never really had that in the United States. In Europe, they do 300 performances each season, and they get 85% to 95% of their budget from the government. They’re doing performances from the beginning of September to mid-July, so they have to have enough singers around to do almost anything. They can even change from Carmen to Lohengrin that day because they’ve got the singers around. There’s a wonderful story of a conductor in Dusseldorf who actually strode into the pit, raised his baton and expected to hear the staccato opening of Carmen but the orchestra played the ethereal chords of Lohengrin! The opera had been changed, but he had not been told. BD: He didn’t notice the different costumes on the cast or chorus milling about backstage? MF: Frequently, to get from the conductor’s dressing room to the pit takes you under – rather than across – the stage. BD: What can you, as the General Director, do to make sure that the performances don’t become routine? MF: That’s one of the challenges of being General Director, and it’s part of the problem in Europe where you do so may performances. We have an advantage over their system. There is no way you can adequately rehearse 50 different operas, so when a Tosca is played, there may not be any rehearsal. They regard it as a challenge to a guest conductor, so they throw him in the pit without a rehearsal. The excitement is tremendous, and sometimes it can be dismal. But in companies like Washington, Chicago, Houston and San Francisco, where we do between 7 and 10 operas, each one is rehearsed. Even if we bring back an opera that was done two seasons ago, we give it full rehearsal time. That’s the stagione system, and it’s definitely a better way to do opera. I think it works, and it’s one of the reasons you have such high quality in these cities I mentioned. In Washington, we have two theaters – the Opera House, which seats roughly 2200, and the Eisenhower Theater which seats about 1100. That’s an intimate theater and we like to do Donizetti, Mozart, Rossini and those kinds of operas there. It gives us an enormous advantage. We do 12 or 13 performances of each to satisfy our audience, and we don’t change the cast. You should see how a production grows. In the Opera House, we do 7 performances of each opera. BD: How are the younger singers of today compared with those of 20, 30 or 40 years ago? MF: I think they’re terrific. Today, there’s all this nostalgic talk of the casts from 50 years ago. When I started going regularly and hearing the casts we now look back on with fondness, the old standees pined from the singers from 50 years before that. Everyone always remembers their first casts. When those old-timers mention the obvious great names, do they ever bring up the others who turned in many wonderful performances in those same roles on other nights or in other seasons? There are beautiful young singers coming along and many great ones still performing. BD: What part does television play in the spreading of The Word? MF: I think the two most important factors in the increased popularity of opera in recent years are the television and the surtitles. Despite the drama and the plot and the gorgeous music, I’m not sure that Tsar’s Bride we did would have had the kind of success it had if one wasn’t immediately involved with both the music and the words which were there on the screen. Surtitles especially help with operas that are a bit off the beaten track. BD: And with more complex works like Lulu. It had a great success here, and I think the surtitles added a tremendous amount to the impact it had. MF: All those factors enter into it. The first year we used the surtitles, one of the works we played was Bohème. I had to go into New York to meet with Domingo and I saw the Met’s Bohème which did not have the titles. The audience was absolutely dead. All the humor in the first act that had my audience laughing went for much less. The New Yorkers had the general outline and knew what was going on, but it just wasn’t the same. BD: Will the use of surtitles mean the death of opera-in-English? MF: No, I don’t think so. You can’t generalize about it because of the nature of the writing in the ensembles and so on. For example, when we did the Aspern Papers, I went to Argento and told him I didn’t think we needed to use surtitles in the Eisenhower Theater. The work had its premiere in Dallas which is a huge house, and in the intimate Eisenhower I felt the audience would get the words. But we found in rehearsals that a great deal was being lost in the ensembles, so we brought the titles up from Dallas. I also knew that Dominick was in favor of the titles which were used for Casanova at the New York City Opera because he also felt much was being lost in the ensembles. BD: Were the words on the screen exactly what was being sung? MF: No, they were simplified to a degree, but the basic meaning was there. The same is true when you’re translating from Italian into English. This is not to say we will use surtitles in every case – we’ll have to see how it’s coming across in each opera we present. It’ not only the nature of the writing, but also how heavy the orchestration is generally and on the climaxes. There is no set policy. Putting comic words on the screen is a different thing from doing a serious work. It also depends on what the American ear is used to hearing. When someone auditions for us and sings a very familiar piece in English, it jars me a bit. One young lady told us she was going to sing “Come Scoglio” from Così, and when she began with the words “Like Gibraltar” we were quite jolted! BD: Speaking of familiarity, in every audience there will be people who know the work inside-out, and others coming to opera for the first time. How can you, as the General Director, get more new audiences? MF: We’re always going after new audiences. In Washington, we’ve succeeded in building our audiences enormously because we’re playing to 101%. The subscription continues to grow and we’ll be completely sold out next season weeks before we open. But there is one factor in all this which disturbs me enormously, and it is that we’ve disenfranchised a certain part of the public because our prices are so expensive. We’d love to find a solution, such as more contributed money so we can lower the prices. BD: Maybe a commercial gimmick such as a special discount for first-time subscribers? MF: We can’t afford that luxury. A few seasons ago, we had a major snowstorm in Washington. Even a minor snowstorm in Washington becomes a big deal – it’s not like Chicago. It was on a Friday, and all you heard on TV and radio was that everything was being cancelled that night. Naturally, the operas could not afford to cancel, but I knew that maybe 30% of the subscribers would not show up. So I went to my publicity department and had them get announcements on all the TV and radio stations saying that any seats which were empty ten minutes after the scheduled curtain time would be given to the standees who had bought tickets for $10 each. We had a queue that night which was the length of the whole foyer (which is one of the largest rooms in the world). There must have been at least 350 people there. We couldn’t take them all into the theater, so I told them to come back the next afternoon or next night. That next day, I had time to go and talk to the standees, and I found school teachers, families with children, and others who said they love opera but can’t afford it. The parents say they couldn’t afford to take their children, but for $10 tickets they could. So, I’m saddened by that fact and I wish I could find a solution to it. But the prices will continue to go up because even though we’re raising more money than we ever did, the factors that are beyond our control also continue to escalate. We cannot control the inflationary cycle; we cannot control the fact that musicians, stagehands, choristers, singers and everyone else wants to keep up; we cannot control the weakening of the dollar which means the international singer who gets a big fee in Europe wants that fee in dollars. A few years ago, the lire was about 2000 to the dollar. Now it’s about 1245 to the dollar, and they want it made up. The production that would have cost me $300,000 a few years ago is now $600,000. The only solution that I know of would be for the American government to be more generous with its grants, and I know I won’t see that in my lifetime. Right now, it’s about 2% of our budget, so it’s not a major factor. Interviews by Bruce Duffie have become a very popular feature on WNIB, Classical 97 in Chicago. Next time in these pages, a conversation with conductor Emerson Buckley on the 75th anniversary of his birth. After that, a couple of 50th birthdays – historian, and Rossini/Verdi specialist, Philip Gossett, followed by director Robert Wilson. Martin Feinstein, who helped the Kennedy Center in Washington and its resident opera company grow and fill a large, empty niche in the capital's cultural life as executive director of one, then general manager of the other, died on Sunday at his home in Potomac, Md. He was 84. The cause was pancreatic cancer, according to the Washington National Opera, of which he was general manager from 1980 to 1995. Mr. Feinstein joined the John F. Kennedy Center for the Performing Arts in 1972 after a long association with the illustrious international concert impresario Sol Hurok. He served at the center until 1980 and went on to manage the opera at a time when it gained recognition among opera fans beyond the capital district. He was the first executive director of the Kennedy Center, working as deputy to its chairman and chief fund-raiser, Roger L. Stevens. In his eight years at the center, Mr. Stevens presented the center's public face while Mr. Feinstein oversaw its programming, developed a schedule of festivals and arranged for guest appearances by leading soloists and orchestras. He then took over as general director of Washington's struggling opera company, overseeing the expansion of its season, bolstering the ranks of its resident artists, adding new productions and bringing in prestigious visiting companies. The multitude of contacts he had made in the music world over the years served him well in getting the company's board to increase the budget, and attracting money from corporations. The annual Opera Ball became a Washington society event, as well as a big fund-raiser. Mr. Feinstein used his skills to line up embassies to give large black-tie dinner parties after which the guests would converge on one embassy to drink and dance, with the proceeds going to the opera. Under his guidance, the Washington National Opera evolved as a company, shaking off any vestiges of provincialism. With its move into the Kennedy Center, to enjoy the prestige of a new 2,200-seat house, it took root as an integral part of the capital's cultural and institutional scene. Opera was a passion with Mr. Feinstein from the days he was a child in New York and used his school lunch money to take in a performance at the long-forgotten Hippodrome. As a boy he sold librettos at the old Metropolitan Opera House. And as he grew up, he combined that love for opera and music with a strong streak of practicality and showmanship, honed in the years he worked for the ubiquitous Hurok organization. 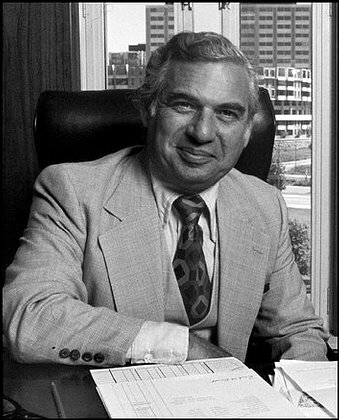 Martin Feinstein graduated from City College in 1942 and received a master's degree from Wayne State University in Detroit the next year. He joined Hurok Concerts in 1945 as publicity director and was promoted to vice president in 1950. Hurok Concerts was famous for bringing many of the world's best-known artists to the United States and arranging hugely popular tours by performing companies like Igor Moiseyev's troupe of folk dancers and the Kirov and Bolshoi ballets. Mr. Feinstein was responsible for much of the spadework and organization that went into arranging these visits. In 1971, he accepted the offer to become deputy to Mr. Stevens at the Kennedy Center. Most recently, he was a senior consultant to the University of Maryland Performing Arts Center at College Park, where he also taught as an adjunct professor and in the late 1990's was the artistic director. Mr. Feinstein's first marriage, to Ruth Benjamin Feinstein, ended in divorce. His second wife, Bernice Richman Feinstein, died in 1993 after 40 years of marriage. He is survived by his third wife, Marcia Teller Feinstein; two sons and a daughter from his second marriage, John, of Potomac, Md., Robert, of McLean, Va., and Margaret Feinstein of Arlington, Va.; three stepchildren; six grandchildren; a brother, Leonard, of Manhattan; and a sister, Shirley Rubinfeld of Old Westbury, N.Y.
Martin Feinstein, who helped build the Kennedy Center into a significant artistic institution in the 1970s and then put the Washington Opera on the map in the 1980s and '90s, was an irrepressible entertainer. In public, he was an impresario who could triumphantly match performing talent with its audience. In private, he was an exuberant storyteller with a huge repertoire of tales from the worlds of opera, music and ballet, as well as the newest joke on the circuit. And though born in Brooklyn and a longtime New Yorker -- his always-retrievable memories of opera went back 70 years to performances heard as a teenage libretto seller in the old Metropolitan Opera House -- Martin loved Washington beyond all other places. He died yesterday at his home in Potomac at age 84. He loved the city's male clubbiness, loved setting up ceremonial visits to performances for presidents and first ladies, loved playing poker with Supreme Court justices, and being decorated by ambassadors thanking him for presenting their countries' artists, and lunching with retired directors of the CIA, think tank executives, chiefs of the Library of Congress. For many years, when he was executive director for performing arts at the Kennedy Center, he especially enjoyed his annual appearance conducting the singalong of the "Hallelujah" Chorus from Handel's "Messiah." The formative influence in Martin's life was Sol Hurok, a Russian immigrant who risked his own money to bring concert artists and ballet companies on U.S. tours that he organized, booked and marketed. Think Ballets Russes, Arthur Rubinstein, Isaac Stern, Emil Gilels, Vladimir Ashkenazy, Daniel Barenboim, Mstislav Rostropovich (whom Martin would later recruit to conduct the National Symphony). Martin went to work for Hurok upon his return from the Army in 1946 and stayed 23 years. Referring to him, even many years later, Martin always spoke of "Mr. Hurok." Martin described himself as Hurok's "press agent," but the truth was that from the early days and with increasing confidence Hurok gave Martin both artistic and operational authority. He rearranged the order of the numbers in the tattoo imported from the Edinburgh Festival, changed the sequence of folk dances in the Moiseyev Ballet programs and chose the plays Jean-Louis Barrault and Madeleine Renaud would perform on their American visits (Martin learned French for the purpose). Overcoming Hurok's doubts, he triumphantly imported the previously unknown Stuttgart Ballet. And he priced out the costs of all aspects of union contracts, a talent he later used to rescue the Kennedy Center after its initial leadership had signed disastrously unequal treaties with stagehands and musicians. In 1970, Roger Stevens, chairman of the new Kennedy Center, approached Martin to become its executive director for performing arts. Looking at the plans for the Kennedy Center, Martin had seen no possible business for Hurok, especially in the Opera House, with only 2,200 seats (as opposed to 3,800 at the Met). By failing to offer a venue large enough to lure the great European opera companies, Martin said, the Kennedy Center was losing its chance to do something transformational in the capital. He solved the center's problem, in part, by cultivating the ambassadors from the countries that had the world's leading performing institutions (and the leaders of those institutions, all of whom he knew) and obtaining subsidies that would make their performances at the center feasible. Consider cultural life in Washington before the Kennedy Center -- great museums for the tourists, little of artistic interest for the natives. An evaluation as "second-rate" would have flattered the National Symphony Orchestra. The little Opera Society had no resources. The Metropolitan Opera visited for a week every year, and touring companies played Broadway shows. The Ford Foundation kept Arena Stage afloat. But most of the time, Washington rolled up the sidewalks at night. Then the Kennedy Center opened, offering attractions sophisticated people would travel to see. La Scala of Milan, the Vienna Opera, the Berlin Opera, the Paris Opera, the Bolshoi Ballet, the Royal Ballet, the Stuttgart Ballet all came to Washington. For the normally inactive months of June and September, Martin invented festivals based on a composer or a musical tradition or a Shakespearean subject. In 1979, the Kennedy Center was abruptly reorganized to absorb the Opera Society and Martin became general director of a new Washington Opera and also general manager of the National Symphony. After a couple of years he dropped the orchestra, for which Rostropovich was selling tickets, and reveled in his discovery at age 60 of his true metier, as an opera manager. A successful opera manager without much money (at no time did he have as much as half the budget Placido Domingo now spends on the same company) must have a gift for finding first-class singers just starting their careers. The list of now-prominent artists who got a big break in Washington is quite long: Jerry Hadley, Hei-Kyung Hong, Ruth Ann Swenson, Elizabeth Futral, Eric Halfvarson, Patricia Racette are merely a sample. He gave them and his directors and conductors much new repertoire to perform in the acoustically flattering Opera House, and he guaranteed them efficient rehearsals, which he supervised. He had to endure musicians' strikes to prevent the promoters of the musical comedies that also used the Opera House from saddling the opera with ruinously expensive contracts, but otherwise the Washington Opera was a happy place to work: Martin, after all, brought to his job years of seeing the world from an artist's perspective. Retiring from the Washington Opera at age 75, which he thought a little too soon, he and his wife, Marcia, became antiques dealers, and he hugely enjoyed becoming expert on Chinese porcelain and Federal period furniture. Martin kept up to date with both art and gossip by visiting opera houses in cities where the antique shows were. He remained an inspector and consultant for the National Endowment for the Arts. All three of his children and his six grandchildren live in Washington. He was a good friend for more than 50 years. Our children are the same age, and grew up together in summer houses a quarter of a mile apart. We played a lot of tennis and swapped a lot of stories. He was one of very few artists I, as a critic, could have as a friend: When I gave his company a negative review, he told me quite bluntly and once only that I was wrong, but he wouldn't be hurt. For me -- indeed, for many -- the world will be a less friendly as well as a less amusing place without him. This interview was recorded in Chicago on June 14, 1990. The transcription was made later that year and published in The Opera Journal in March of 1991. It was slightly re-edited and posted on this website in 2009.